Numbered tables at your wedding reception can make the reception run smoothly. 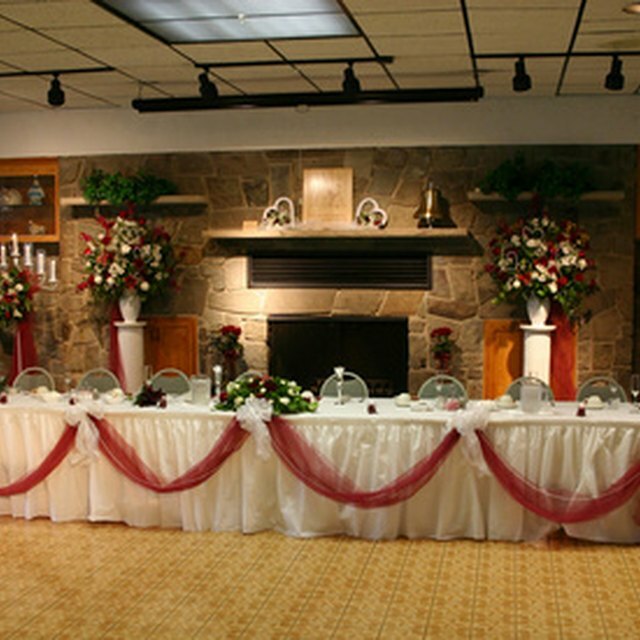 Many wedding receptions have tables where guests can sit, mingle and eat. Some couples prefer to number those tables. 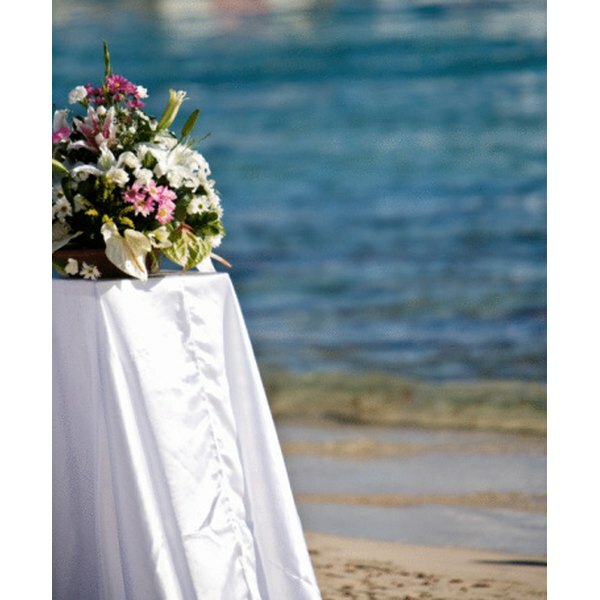 The purpose of numbering tables is to allow the bride and groom to assign guests to specific tables. Additionally, numbered tables are appreciated by caterers because it allows them to know where to serve guests who have selected particular entrees. While there is no set rule for numbering tables, consult with your caterer and reception venue to see if they have a preference for the table numbers. Draw a layout of the room where the wedding reception will be held. If your reception will be held at a particular venue, ask your contact there if she has a diagram of the room for you to use. Make sure that you include on your layout every table that will be at your reception. Note on your layout where the wedding party will sit. Often the bride and groom and/or the bridal party will sit at Table 1. Write “1” on the table that you have designated for the bridal party on your layout. Make a list of every person assigned to that table. Designate a table near Table 1 and mark it “2.” Write down every person assigned to Table 2. Designate which table will be “Table 3,” mark it accordingly, and write down guests to be seated at that table. Repeat this process for every table on the layout until all of the tables are marked with a number and you have assigned a seat to every guest. Make or purchase signs to put on the tables. Each sign should clearly indicate a number. These signs will help the guests navigate to the tables to which they have been assigned. Put each guest's name on a small name card. If you have hired a calligrapher to make the name cards, give him the list of guest names and their assigned table numbers. Make sure that there is a name card for every guest and that each guest's name card includes the table number to which that guest has been assigned. Display the name cards on an easily accessible table or stand outside of your reception venue so that guests can pick them up on their way into the reception. Make sure that your caterer, wedding planner and/or reception host each has a copy of the layout that you have designed. It is important that everyone is aware of the table numbers so that there is no confusion. Who Sits at the Reserved Table at the Wedding? How do I Word an Enclosure Card for Hotel Accommodations for a Wedding?